Sheriffs, if you setup a memorial fund account for the fallen deputy sheriff, per Walter Kucharski, Auditor of Public Accounts, do not set the account up in your name or have contributions made payable to you! Provider: Dignity Memorial Funeral, Cremation, & Cem. Summary: Provides dignified and honorable tributes, at no cost, for career and volunteer law enforcement officers who fall in the line of duty. Visit website for list of participating locations. Wilbert Funeral Services, Inc. provides complimentary burial vaults and related services for fallen law enforcement officers. For more information visit: http://www.wilbert.com/commemorating-first-responders/about-the-program/ or call (888) WILBERT. American Police & Sheriffs Association Inc.
Summary: A federal law known as COBRA (short for the Consolidated Omnibus Budget Reconciliation Act of 1985) guarantees that the employer of the deceased officer must make available to the surviving spouse and their dependent children the same type of health insurance as was provided prior to the officer’s death. Coverage is available for up to 36 months and must be paid by the surviving insured. There is no provision in the law for the employer to pay for the health insurance. 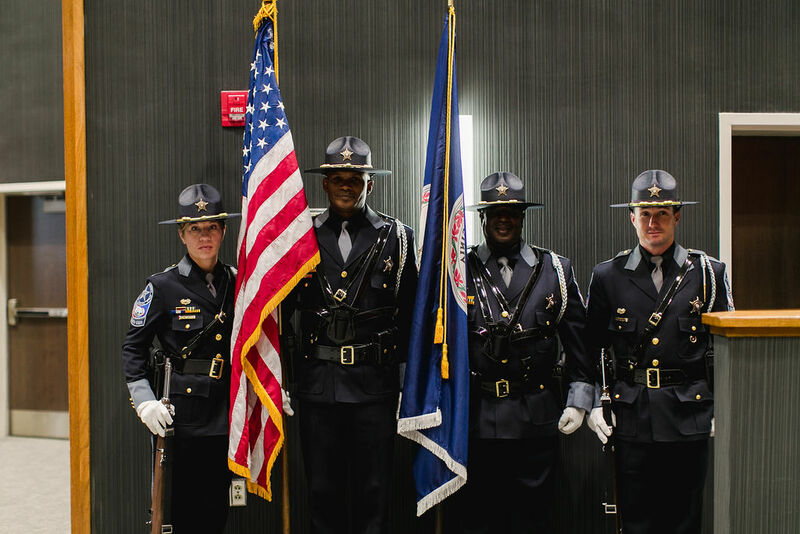 Summary: Survivors of all Virginia law enforcement officers killed in the line of duty on or after April 8, 1972, are entitled to health insurance coverage. Details & Applicable Instructions: Survivors of all Virginia law enforcement officers killed in the line of duty on or after April 8, 1972, are entitled to health insurance coverage. For spouses, continued health insurance will terminate upon such spouse’s death or coverage by alternate health insurance. For dependent children, coverage will terminate upon the dependent’s death, marriage, coverage by alternate health insurance, or 21st birthday. Continued health care insurance will be provided beyond the dependent’s 21st birthday if the dependent is a full-time college student and will continue until such time as the dependent ceases to be a full-time student or reaches his 25th birthday, whichever occurs first. Continued health care insurance shall also be provided beyond the dependent’s 21st birthday if the dependent is mentally or physically disabled, and such coverage will continue until three months following the cessation of the disability. Summary: Survivors of local or state law enforcements officers who are killed while arresting a fugitive wanted by, or committing a crime against, the federal government, or by prisoners held on federal charges, may be eligible for federal works comp benefits. Summary: Many law enforcement officers are veterans of the U.S. Armed Forces and a number of survivor’s benefits are available to the spouse and children of a deceased veteran. Included in these benefits are: a death pension, funeral expenses, life insurance, and burial plot allowance. Summary: The MOPH Scholarship Program is a competitive scholarship program that awards approximately eighty (80) scholarships to Purple Heart recipients and their spouses, children, and grandchildren each year. Summary: IACP Foundation’s programs is the Survivors’ Education Law Enforcement Trust (SELECT) scholarship program which was established to honor the families of law enforcement officers killed or permanently disabled in the line of duty. The SELECT program supports the continuing education needs of dependent family members by helping to defray educational costs for undergraduate or graduate studies. Summary: Members of the National Guard are provided with $50,000 life insurance policy that covers them on and off military duty. Contact the member’s military unit and they will assist in filing the paperwork. The US Army Reserve may be of help if the deceased was a Reservist.